UK Advising and Tutoring (UKAT) will be hosting their 2019 Annual Conference at the University of Plymouth from Thursday 11 April – Friday 12 April 2019. Entitled 'Transition, Persistence and Resilience: Academic Advising for Success', the UKAT Annual Conference provides professional development opportunities for advisers, academics, researchers, administrators and students who are invested in helping higher education students achieve academic success. The conference provides opportunities to learn from experts in the field, gain knowledge and review effective practices with colleagues, and participate in interactive workshops. A wide range of learning formats is offered, including poster sessions, exhibitor presentations, and formal and informal networking opportunities. This conference will provide an opportunity to explore new research, innovative practice and contemporary discussion on student support through advising and tutoring. We recognise that for many students the barriers to success (difficulty in transitioning; lack of confidence; time and resource poverty) can outweigh the wealth of opportunities and advantages afforded by university experience. Students’ development of persistence and resilience can be enhanced by a support network of peers, professional support staff, personal tutors and academic advisors and this conference will bring together members of these groups to share good practice, skills and knowledge. We look forward to welcoming you to the University of Plymouth for the UKAT Annual Conference 2019. UK Advising and Tutoring (UKAT), is a body of professional practitioners and researchers interested in all aspect of student advising and personal tutoring in Further and Higher Education in the UK. UKAT promotes student success by advancing the field of student advising and tutoring in the UK and beyond. We provide opportunities for professional development, networking and leadership for our diverse membership. Dr Charlie Nutt, a NACADA member since 1991, joined Kansas State University and the NACADA Executive Office in 2002 as Associate Director and Assistant Professor in the College of Education and was made Executive Director in 2007. Charlie served in various leadership roles in the Association before coming to work full-time for Executive Office. He has served on the faculty of the NACADA Summer Institute, Academic Advising Administrators' Institute, and Assessment of Advising Institute. As Executive Director of NACADA, Charlie is responsible for coordinating the work of the Executive Office staff as well as working with the various NACADA units on professional development issues, external relations for the Association, and our international initiatives. Ryan Scheckel has been in academic advising since 2002, working with students from the exploratory to the declared, first generation to legacy, and from fine arts to pre-professional health. He also serves in leadership roles at both the local and international levels, with professional interests including advising history, theory and philosophy; leadership theory; and the intersections between advising and higher education's larger purpose. A graduate of Texas Tech University, Ryan's academic background includes degrees in human development, public administration, leadership, and higher education administration. Oscar van den Wijngaard studied history and philosophy in Leiden, and joined University College Maastricht in the Spring of 2003, shortly after it was founded. Previously he had worked as director for a study abroad program of an American liberal arts college, and as a freelance editor for several publishing houses. At UCM Oscar contributed to curriculum development, taught courses in the humanities as well as skills, developed projects in collaborative learning and he was coordinator of its academic advising program. September 2017 Oscar joined the staff of EDLAB, the Maastricht University Institute for Education Innovation. At EDLAB he coordinates a university-wide project on retention and student persistence in the first year. Oscar became a member of NACADA: The Global Community for Academic Advising in 2005 and has been actively involved in the work of the association ever since. He was a member of the task force that set out a course for NACADA towards becoming a Global Community for Advising. In 2013 he led the committee that organized NACADA’s first official International Conference in Maastricht. Together with Dr Ruth Darling he is founding co-editor of the new online peer-reviewed journal NACADA Review: Academic Advising Praxis and Perspectives. In October 2018, he started his three-year term as elected member of NACADA’s Board of Directors. Oscar currently chairs the Dutch association for academic advising LVSA. Rhonda Baker is the Assistant Director for Global Initiatives for NACADA: The Global Community for Academic Advising. Rhonda began her career with NACADA in 1997. Rhonda worked on NACADA's Annual Conference for 21 years before stepping aside to focus completely on NACADA's global outreach. One of the highlights of working on the Annual Conference was the opportunity to build an online Call for Proposals system with the help of a student tech. The online Call for Proposals is still used by the Annual Conference, the region conferences, and the International Conferences. Rhonda began many of NACADA's professional development events, including the Administrators' Institute 2003, The Assessment Institute 2004, the Winter Seminars in 2005, and the International Conferences in 2013. Building the global outreach of NACADA is a dream that Rhonda and Dr Nutt have shared for many years. She is thrilled to have the opportunity to focus solely in this area now. When not enjoying the international work, Rhonda loves to read, quilt and spoil the grandchildren every opportunity she gets. We have partnered with Great Western Railways (GWR) to offer delegates attending the UKAT Annual Conference 2019 discounted return train fares to Plymouth. These reduced rates can save you up to 60% on the cost of travel within the GWR Network only. Please note that discounted tickets can only be purchased within 12 weeks of travelling. Detailed information and booking links. You will also find information on flying into the South West included. The UKAT Annual Conference 2019 Conference dinner will be held at the New Continental Hotel which is listed below as one of our accommodation partners. All hotels detailed below are within walking distance of the University campus and have provided the following information to help you with your booking. 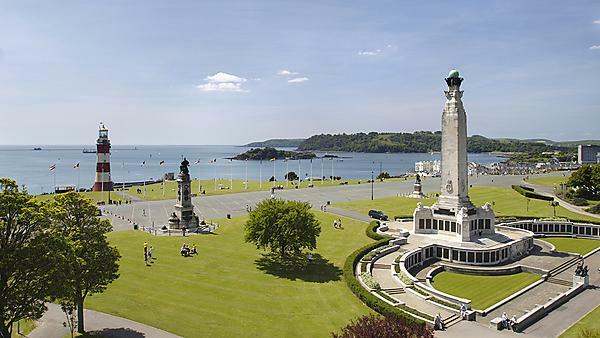 Further accommodation options, including local guest houses are available on the Visit Plymouth website. Delegates for the UKAT Conference will receive a 20% discount off the best available rate of the day when using this link to book their stay. Support students with effective personal tutoring. Find resources, downloads and advice to help you fulfil this crucial pastoral role.